This study aimed to assess quality of life in obese patients 1 year after bariatric surgery taking into consideration the influence of socio-demographic, clinical, and psychological variables. A sample of 90 patients undergoing bariatric surgery was assessed in two moments: before surgery and 1 year after surgery. Social support, problem-focused coping strategies, and quality of life increased after surgery, while eating disorder behaviour and impulsiveness decreased. The presence of eating disorder behaviour predicted worse physical and mental quality of life and higher satisfaction with social support predicted better physical and mental quality of life. In addition, higher impulsiveness predicted worse mental quality of life. Spirituality moderated the relationship between impulsiveness and mental/physical quality of life. Interventions should focus on promoting social support and coping strategies particularly spirituality since it played an important role in quality of life. This study followed a prospective design with two assessment moments. Patients were identified and contacted by the psychologist of the Unit of Psychiatry and Mental Health. Patients were invited by letter and all signed an informed consent. Participation was voluntary. Patients answered the instruments in a room provided by the hospital for that purpose. The research protocol complied with the ethical principles contained in the Helsinki Declaration and was approved by the Hospital’s Ethics Committee. WHO.int [Internet]. 10 facts on obesity. Available from: http://www.who.int/features/factfiles/obesity/en/. Accessed October 2017. 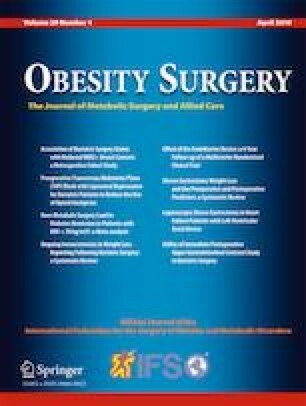 Costa J, Pinto S. Transtorno da compulsão alimentar periódica e Qualidade de Vida de pacientes candidatos a cirurgia bariátrica [binge eating disorder and quality of life of candidates to bariatric surgery]. Arq Bras Cir Dig. 2015;28(1) https://doi.org/10.1590/S01026720201500S100015.